Sealants are thin coatings painted on the chewing surfaces of the back teeth. 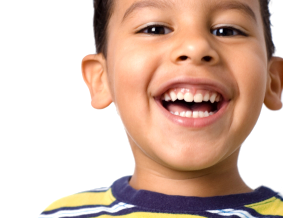 Sealants are put on in dentists’ offices, clinics, and sometimes in schools. Getting sealants put on is simple and painless. Sealants are painted on as a liquid and quickly harden to form a shield over the tooth. Call our office at (978) 745-7363 and ask about sealants. Click here to watch a video and learn more about dental sealants.